I love shopping. There, it’s plain and simple – I love buying stuff. But I’m trying to avoid careless consumerism that is slowly destroying our planet. When it comes to shopping, I’m a big fan of the more eco-friendly (and sometimes more stylish) alternatives… vintage and thrift shopping! 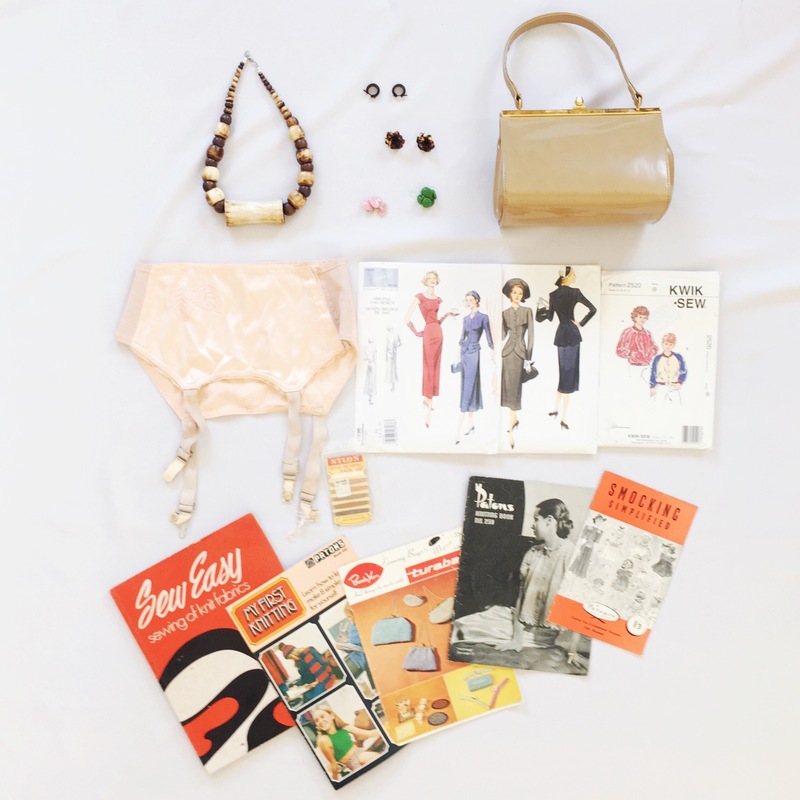 Unfortunately, there is a huge black hole in the vintage and thrift shopping scene in Singapore. Since moving back to Singapore 5 years ago, every holiday I have taken involves multiple trips to different vintage and thrift shops. Over the years, I have amassed a collection of things from various thrift shops and vintage stores overseas. They each tell a story and serve as great physical memories of my trips. They are the perfect holiday souvenirs! Unsurprisingly, my recent trip to Australia a month ago consisted of trips to various op shops, antique stores and vintage boutiques in all the little suburbs I visited. I stayed in Brisbane for 3 days and Gold Coast for 2 days, and visited about 9 or more shops in total. And now that we are done with the preamble, here’s the details of my haul! 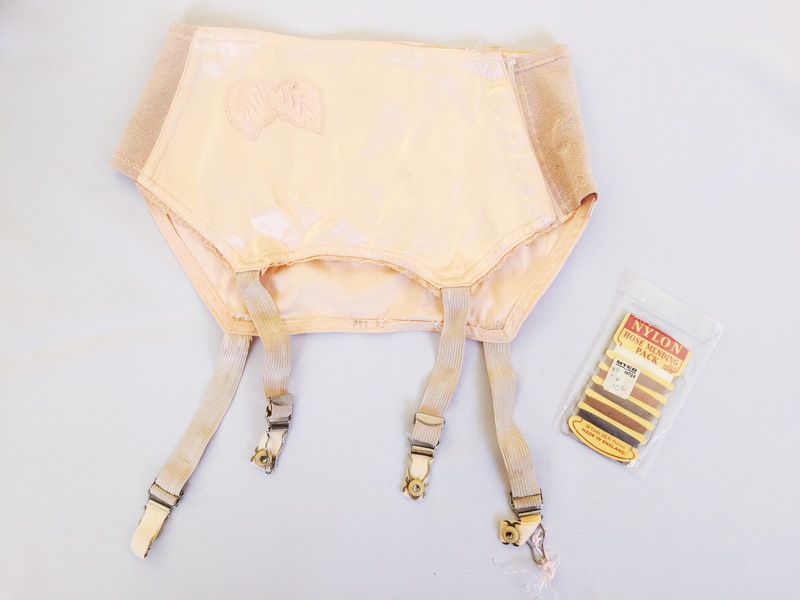 Vintage 1940’s garter from Commercial Road Antiques & Decorative Arts (Brisbane). Vintage nylon hose mending pack thrifted from Vinnies in West End (Brisbane). Two sets of vintage glass buttons from Retro Metro (Brisbane). 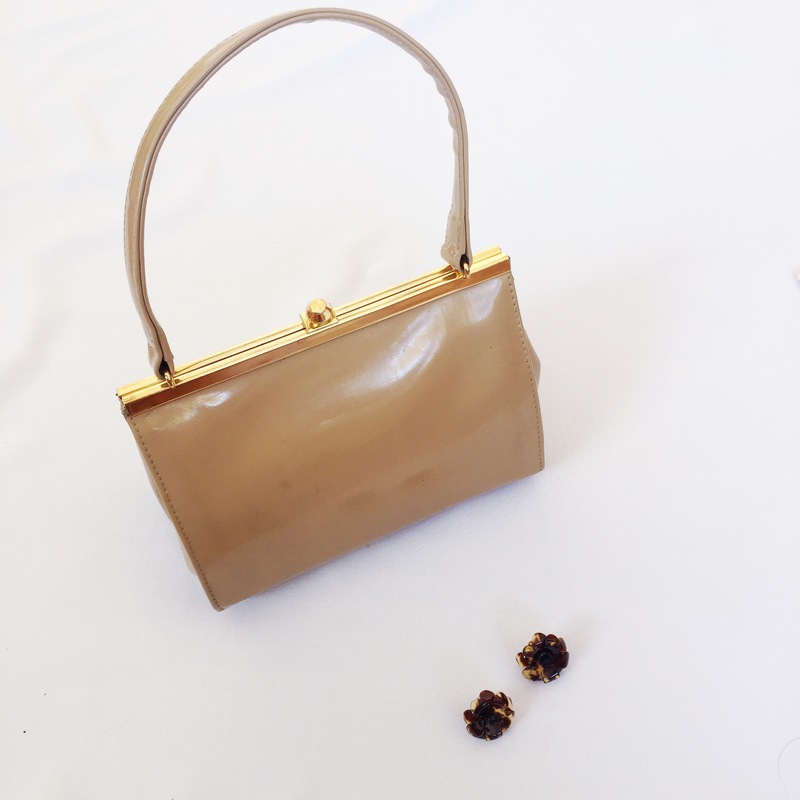 Vintage beige purse and modern plastic tortoise shell screw-back earrings thrifted from Vinnies in Paddington (Brisbane). 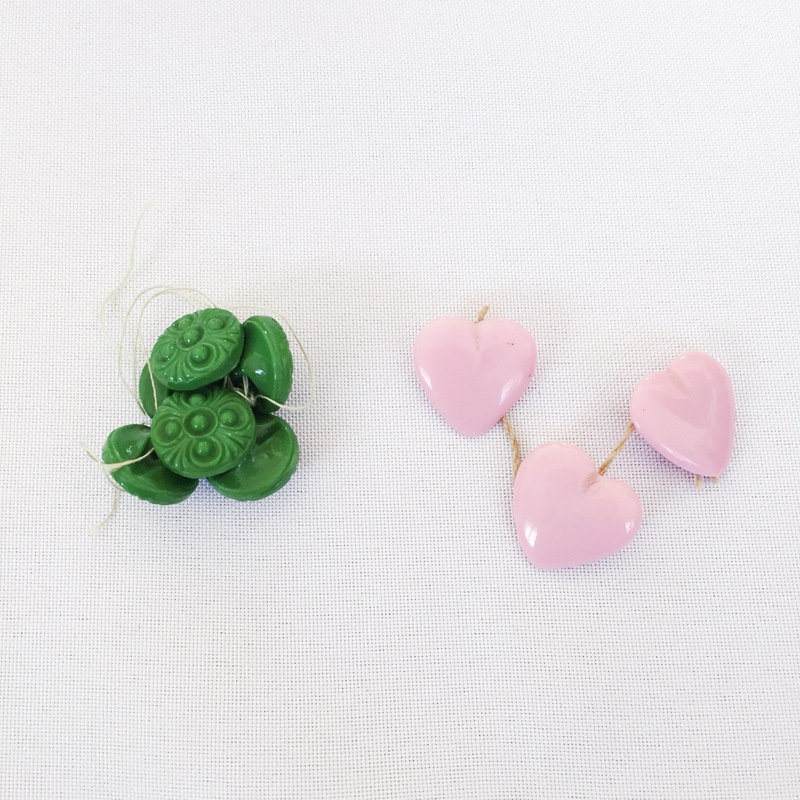 It’s so uncommon to find modern earrings with screw-ons! They are still in mint condition. 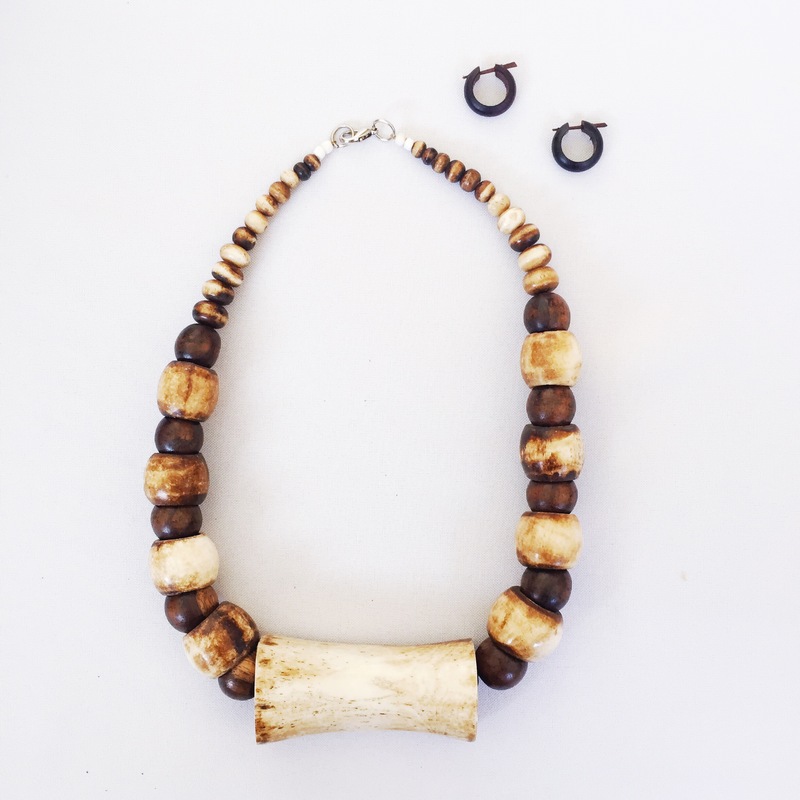 Bone and wood necklace from Animal Welfare League QLD op shop in Southport (Gold Coast). Wooden mini hoops from Vinnies in West End (Brisbane). 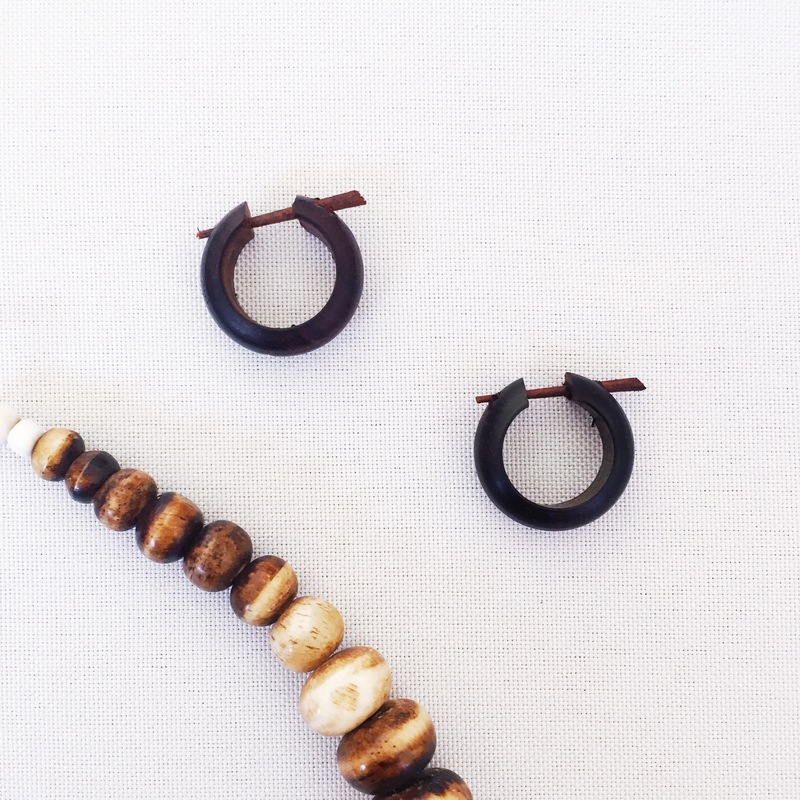 These wooden hoops remind me so much of the Flinstones! 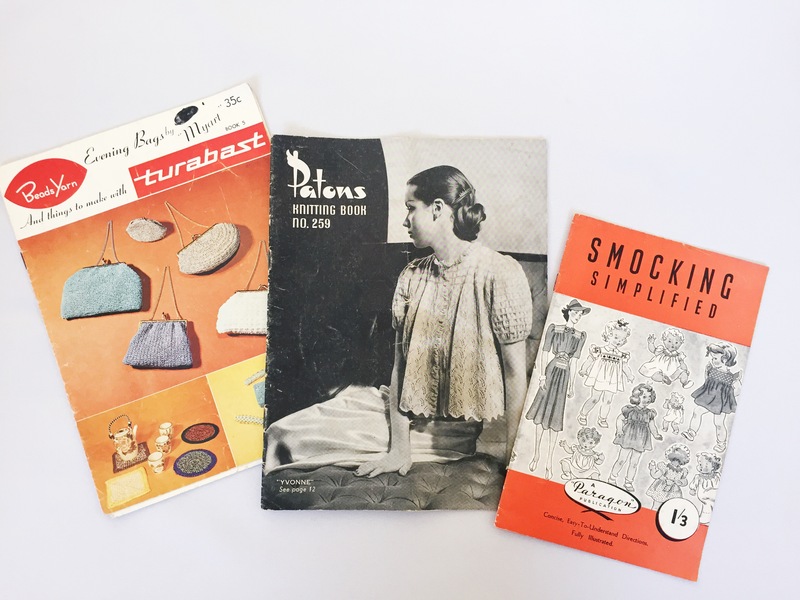 Sewing paper patterns from various op shops in Gold Coast. The red dress on the far left looks like such an easy and classic make! The skirt suit look is a little out of my comfort zone but I couldn’t let it go! 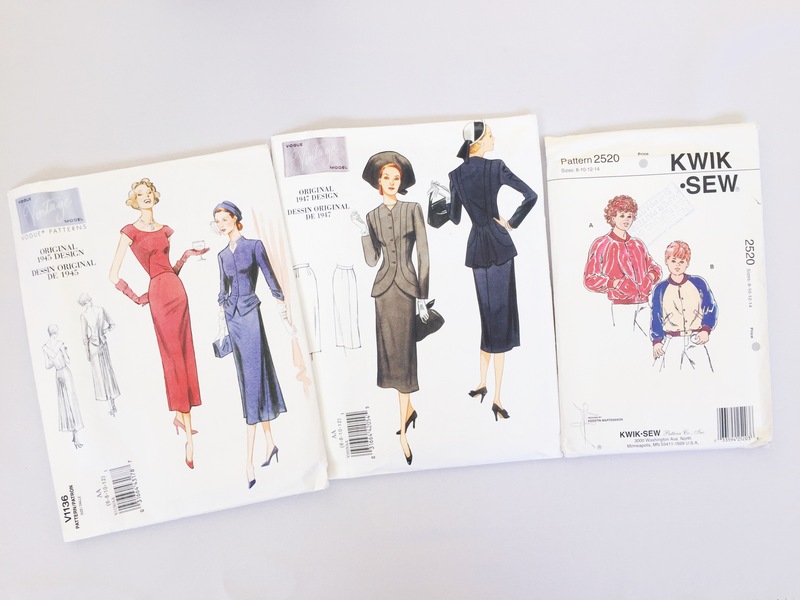 The Kwek Sew pattern looks like it’s from the 1980’s but I might be wrong. Regardless, I could make a cool 1950’s inspired bomber jacket with this pattern. Book on sewing knit fabrics from Vinnies in West End (Brisbane). 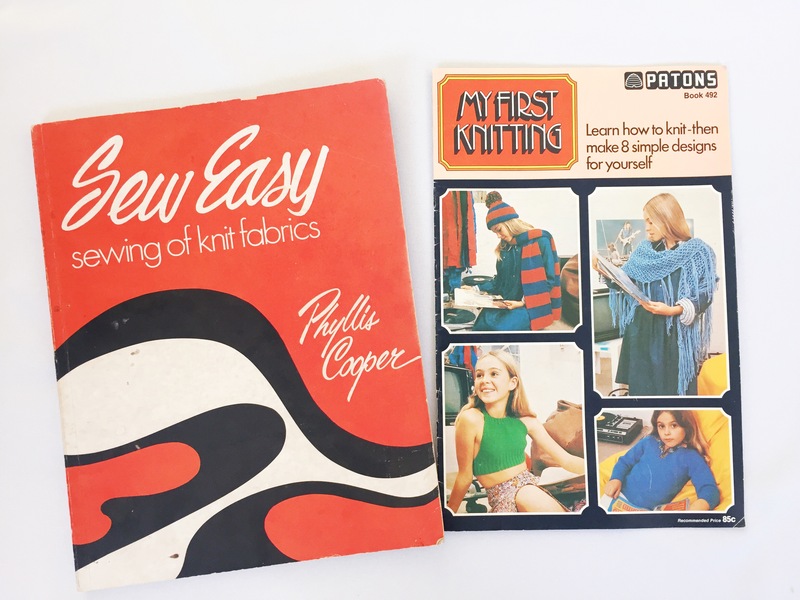 Knitting book from op shop in Gold Coast. I am most looking forward to knitting that cute little green number on the front of the cover! Various craft books from Retro Metro (Brisbane) and an op shop in Gold Coast. For anyone who is interested, here’s the list of op shops and vintage shops I visited. I didn’t buy something in every shop, but these shops are all great for browsing if you happen to be in the area! I love op shopping on holiday too and the things you find do make special souvenirs. I love remembering where I bought clothes when I wear them. This is a great haul and I especially love the buttons!